Ready to golf in South Carolina? What a great decision! South Carolina offers some of the best golf in the area. From Greenville SC all the way to the coast, the reviews of these SC golf courses can’t be beat. And oh my at the scenery – gorgeous pictures worth saving for a lifetime! Don’t worry about making a bad choice when you are looking to book a coastal South Carolina golf vacation. With nicknames like “The Golf Mecca” and “The Golf Island” and recognitions like the “No. 1 golf resort in the United States,” you will have a hard time not enjoying your golf trip in the Palmetto State. But if you can not take a leave of absence from work and enjoy all the great golf destinations in South Carolina, how do you choose where to book your trip. Well hopefully I can help. Below you will find a quick glimpse into the four main golf package destinations on the South Carolina coast. I am not going to play favorites and award one location as the best. Instead, I just hope to make your decision a little more clear. Myrtle Beach – “The Golf Mecca” and “The Golf Capital of the World” are just two of the nicknames for Myrtle Beach, SC. This golf hot spot is also probably the most well-known golf destination in the Palmetto State. The Grand Strand (another nickname) covers an area of about 80 miles and offers about 100-plus golf courses. When it comes to choice of golf courses, this destination offers the vacationing golfer the most quantity and styles of golf courses. Myrtle Beach is also a more popular tourist destination that the other South Carolina locations. The beaches are world-famous and so are the crowds at times. So don’t expect – even in the slowest of seasons – not to encounter large crowds both on and off the golf courses. But if you are looking for a destination that offers the best deals on golf and bargain packages, then this might be the spot for your next trip. Hilton Head Island – Hilton Head, an island that is 12 miles long and 5 miles wide, is known as “The Golf Island.” When you look at a satellite image of the golf courses packed on this coastal South Carolina destination you will understand why. You will have around 20 golf courses on the island and nearby to choose from on your trip. Hilton Head vacations are more upscale than Myrtle Beach trips. Don’t expect all-you-can-eat seafood buffets and neon t-shirt beachwear stores on every corner. Instead, you are more likely to find fine dining and upscale clothing shops. You can also expect your golf course and golf package bills to be a bit higher than they are on the Grand Strand. You will also find the crowds a little more sparse when you are off the course enjoying activities like tennis, biking, relaxing at the beach, shopping, kayaking and more. Enjoy a villa overlooking one of the golf courses, a quiet, private home with a waterway view or turn the luxury-meter up to ten at the Sanctuary hotel. Wherever you decide to stay, Kiawah Island is a first-class golf vacation with first-class prices. You will not find the bargains you would find at Myrtle Beach here. Charleston – This Lowcountry location is not as well-known as the other three golf destinations but do not write Charleston, South Carolina off when it you are deciding on where to have your next golf trip. The quantity of golf courses is not as large as Hilton Head or Myrtle Beach but the quality of the courses is definitely equal. Expect your Charleston package prices to fall below Kiawah and somewhere between Myrtle Beach and Hilton Head. Charleston’s trump card might be its more diverse offerings off the golf course You can tour the historic city on a self-guided walking tour or off your feet on a horse-drawn carriage. You can kick back on one of the beautiful beaches on Isle of Palms, Folly Beach or Sullivans Island. There is plenty of upscale shopping downtown on King Street and world-class dining on every block of the city. You can enjoy more Southern history at one of the many plantations. And if you enjoy communing with nature, then take a moonlight trip on a kayak. These are just the tip of the iceberg for activities off the golf course when you book a golf package in Charleston. Each South Carolina golf vacation destination mentioned above offers a great golfing experience. Hopefully, the above information will help with your decision on a location to book your golf package. Hailstorms cause serious property damage in South Carolina… do you know how to tell if you have hail damage? How to tell if you need a new roof after a hailstorm? Worried that you have roof hail damage? Not sure how to know if your roof has been damaged by a hailstorm? Here’s how to tell if you need a new roof after a hailstorm. – How to tell if hail has caused damage to your roof. – How to check your roof for signs of hail damage. – If you need a new roof, or roof repairs. – Water leaks inside your home and what it means. – Will your homeowners insurance pay for a new roof after a hailstorm. This is very important information for all homeowners to know. 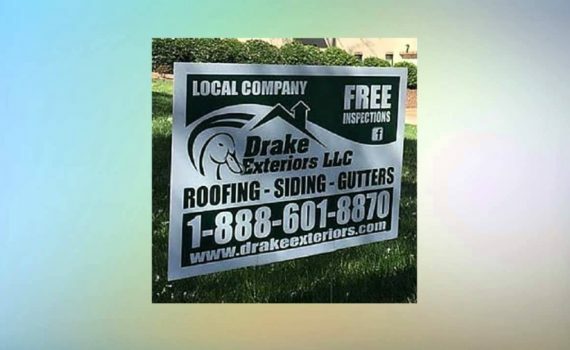 Drake Exteriors is a licensed Roofing Contractor in Georgia and in South Carolina as well as an Insurance Claim Specialist. meaning: They will work with your insurance company FOR you – which cuts out a ton of aggravation for homeowners. and other Greenville/Spartanburg South Carolina cites and communities. Get a FREE roof inspection in South Carolina by filling out this quick online form. 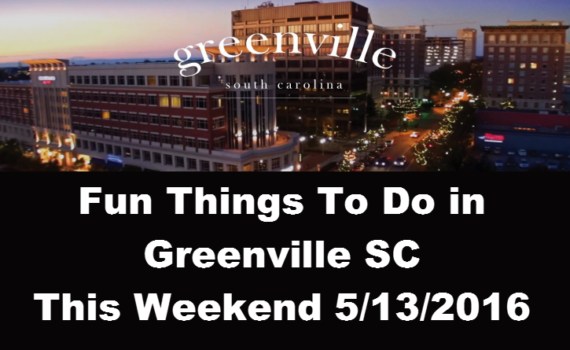 If you’re looking for something fun to do this weekend in the Greenville area, take a look at these events! We found a great list of Greenville South Carolina events for this weekend over on Reddit. The last 4 months have seen a big uptick in residential growth in the Anderson South Carolina area with a good bit of the new development focused near SC 81 near TL Hanna High School. 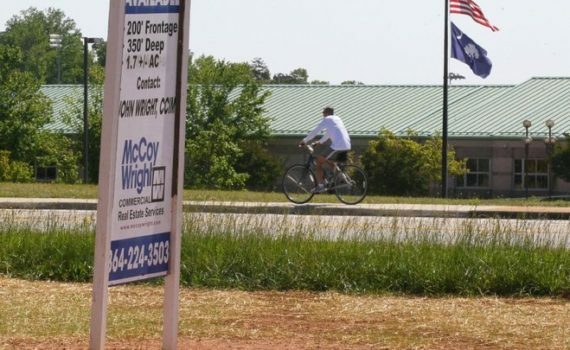 “Plans for residential growth in Anderson County have taken off the last four months with much of the development focused on S.C. 81 near T.L. Hanna High School. Follow Drake Exteriors on Twitter. We came across a great list of 15 fantastic little restaurants in South Carolina that look like “holes in the wall” from the outside. We were pleased to see some of our local favorites on that list! We LOVE Northwest Grill in Travelers Rest, SC – their hamburgers are THE best! We also are big fans of Tanners Big Orange in Greenville SC. I didn’t know they’ve been in business for more than SEVENTY years! That’s amazing – and so are their hot dogs! We also like McGee’s Irish Pub in Anderson SC and Wades Family Restaurant in Spartanburg. Both are delicious! Hip-hip-HOORAY! The Cheesecake Factory is coming to Greenville, South Carolina! South Carolina’s first Cheesecake Factory is coming to Greenville’s Haywood Mall. Information from a news release states that the restaurant will open Tuesday, May 31 and will have two outdoor patios. The store will be located in the former Panera Bread location next to Macy’s. And… they are hiring, too! The new Cheesecake Factory location here in Greenville will be hiring line cooks, hosts, cashiers, bussers, and bartenders. If you’re interested you can apply here. Good news for South Carolina – Matthew McConaughey is moving to Greenville! In a big surprise to everyone in Los Angeles, Hollywood actor Matthew McConaughey reveals in a new interview that he is moving to the Greenville, South Carolina area. He tells the magazine that he is “tired of the L.A. lifestyle” and is looking for a big change in life. “I’m just tired of the L.A. lifestyle and the fake people, honestly, and I feel like, at this point in my life, I’d rather just live in a place full of real, genuine people. I’ve been to Greenville a few times over the years and the people there are real… they’re genuine, and yeah every community has its problems but the people there are good, decent people and they care about their community. Those are the things I find most important in deciding where to live,” McConaughey told the magazine. “I’m not retiring, I’m just looking for a change in life and I think I’ve found that in Greenville,” McConaughey reassured fans. Feedback and comments from Greenville and surrounding areas is VERY positive. Welcome to South Carolina, Matthew! We’re glad you’ll be calling Greenville home. The University of South Carolina Upstate is a public university located in Spartanburg, South Carolina. Formerly known as the University of South Carolina Spartanburg, the school changed its name in 2004. USC Upstate offers both undergraduate and graduate programs for students. The University of South Carolina Upstate is fully accredited by the Southern Association of Colleges and Schools, and it is one of four accredited four-year schools in the University of South Carolina System. The school, originally known as the Spartanburg Regional Campus, was opened in 1967 as a two-year college with an initial enrollment of 177 students. As a result of increased enrollment, the school became a four-year university in 1975 and was renamed the University of South Carolina Spartanburg. During the following years, both the campus and the scope of the university expanded, and the school began offering graduate degrees in 1994. In 2004, the name of the school was changed to the University of South Carolina Upstate to better reflect its mission to educate the people of SC’s upstate region. USC Upstate offers degrees through its College of Arts and Sciences, College of Business Administration and Economics, School of Education, and School of Nursing. The University of SC Upstate actively encourages academic enrichment and achievement through its Honors Program by providing challenging coursework and opportunities to academically advanced students. The program provides an array of classwork opportunities, from advanced sections of classes to complete honors courses. The program also encourages intellectual advancement by placing high standards for honors graduation which include community service and honors seminars. University of SC Upstate sponsors thirteen collegiate teams known as the Spartans. The athletic department’s colors are green, white, and black, while the university’s colors are garnet and black. The teams compete in the Atlantic Sun Conference and Division I of the National Collegiate Athletic Association (NCAA). USC Upstate student-athletes compete in men’s and women’s basketball, men’s and women’s golf, men’s and women’s tennis, men’s and women’s soccer, baseball, softball, cross country, track & field, and women’s volleyball. In recent years the U.S. News and World Report ranked the University of South Carolina Upstate as one of the top four public comprehensive colleges in the South. USC Upstate strives to prepare its students to participate as responsible citizens in a diverse and knowledge-based society, to pursue excellence in their chosen careers, and to continue learning throughout life. Rebecca Allison, General Manager at the Hampton Inn Spartanburg. This Spartanburg Hotel invites guests to step back in time to the colonial era or indulge in modern luxuries and recreation in Spartanburg, South Carolina. The Hampton Inn & Suites Spartanburg Hotel on North I-85 is situated to offer easy access to the Duncan business centers and is just minutes from Wofford College. Guests can take a short drive into Greenville to see historic landmarks or enjoy world-class entertainment. This Spartanburg hotel offers a full range of services and amenities to make your stay exceptional. Springtime storms can bring a lot of rain, which can reveal roof leaks. What should you do when an April shower finds its way into your living room? First, control the interior damage as quickly as possible. Move any items that have not yet become soaked. If furniture or other items cannot be moved, cover them with plastic sheets to protect them from the water. Collect dripping water in a leak proof container and make sure the container is on a solid surface. Begin to dry up water that has soaked into carpet and furniture. For carpeting that has become wet, you may need to pull the carpet away from the padding. Expose the backing to air and allow it to dry. This will also give the padding underneath a chance to dry, and reduce the chance that mold will grow. Circulate as much fresh air as possible around the affected areas. If your living space has sustained a considerable amount of damage, call your insurance agent. Your policy may or may not cover damage to the interior from a roof leak. Do not wait to call the agent. They can usually inspect the damage within hours of your call and help you get started on the process of cleaning up or replacing your damaged contents. Inspect the roof, inside and out. As soon as possible, check the roof for obvious sources of standing or pooling water. Make sure the valleys, gutters and downspouts are clear of debris and allow the water to move freely off the roof and away from the house. Inspect the roofing materials. Make sure all parts of the underlying roof are covered with shingles, and that the water barrier is not exposed in any way. Keep in mind that the water’s point of entry into the living space may not be directly below the roof leak. Roof leaks can “travel” so inspect the entire region of the leak carefully. You may also find it useful to inspect the roof from the attic space above the living quarters. That may provide a better indication of how the water is entering the structure. Clear the gutters and downspouts. Remove any obvious blockages and clear the downspouts if they are clogged. You can often do this with a garden hose. If the downspout is clogged, and it cannot be cleared with a hose, you may have to remove the downspout from the gutter and clear it by inverting the downspout or using a broom handle or other long object to push the debris out of the pipe. When it is clear, reattach it to the gutter and direct the water away from the foundation. Some roof leaks are not the result of clogged gutters or downspouts. 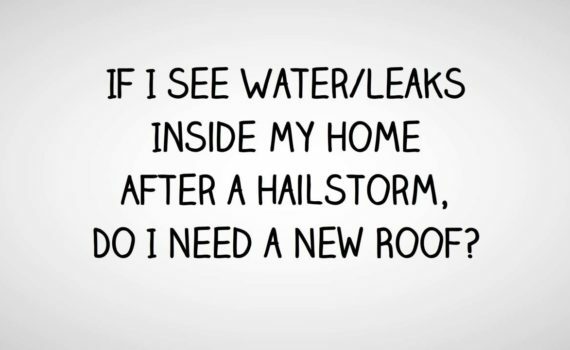 Instead, leaks occur where the roofing material is worn or damaged. In other cases, the flashing around chimneys, vents, or roof projections is damaged and allows water into the structure below. Inspect the flashing, where chimneys, dormers, vents and other attachments abut the roof. If the flashing is in poor condition, it may need to be replaced. If the sealing around the flashing is damaged, a generous application of roof tar may plug the leak. Roof leaks often develop over time, so water may collect unnoticed for some time before it enters the living space. When you inspect the attic, check for any hidden damage that the leak may have caused. Look for wet spots on the roof planks or panels, discolored wood, damaged OSB panels, strange odors and dirt on the insulation. Check the interior for bulges in the ceilings and walls, peeling paint, and badly cracked plaster or wallboard. All of these are signs that something may not be right in your attic or walls. Ants and other water-loving pests will find wet wood a very attractive place to build a nest. If you experience a sudden invasion of ants, powder post beetles, pill bugs, sow bugs, earwigs or other water-loving pests, immediately look for wet wood. An exterminator can rid your house of these pests, but the only way to make sure they stay away is to remove the wet wood and remediate the problem. Call a licensed roofing contractor. If your inspection reveals a lot of water damage, or an old roof that simply needs replacement, and if you aren’t up to replacing it yourself, call a licensed roofing contractor to repair or replace your roof. Simply re-shingling the roof will not repair most roof leaks. If the roof is leaking, the most likely cause is a breakdown of the waterproofing layer underneath the shingles. In that case, all old shingles should be torn off, and the water proofing layer, along with the shingles, should be replaced. Re-roofing can be expensive, so be sure to get several estimates from different contractors before selecting someone to do the work. Verify that the contractor you choose is licensed, has insurance and will apply for the proper municipal permits to do the work. Do not allow the contractor to begin work on the house if permits have not been issued and make sure the contractor replaces all of the damaged wood prior to re-roofing the house. After the roof work is complete, ask the contractor to go over proper roof maintenance with you, and be sure to get a final inspection from your municipal housing authority.